While licensed products based on video games in the USA seemed pretty scarce up until the 1990s, there were actually a few cranked out in the 1980s by big toy companies. 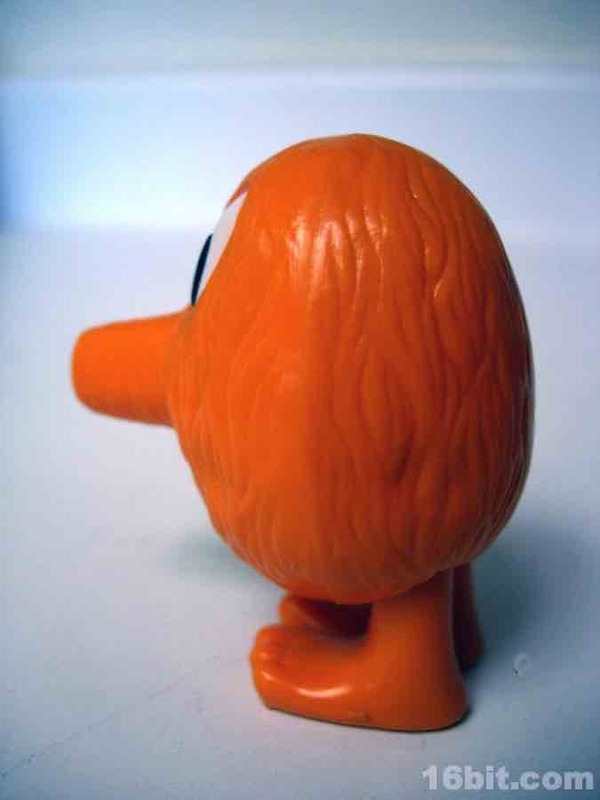 Kenner, while still riding high on the Star Wars brand, even picked up Q*Bert as a wind-up figure, a pair of plushes, and a series of collectible PVC figures. I even have a Q*Bert flying disc with a figure in the middle. 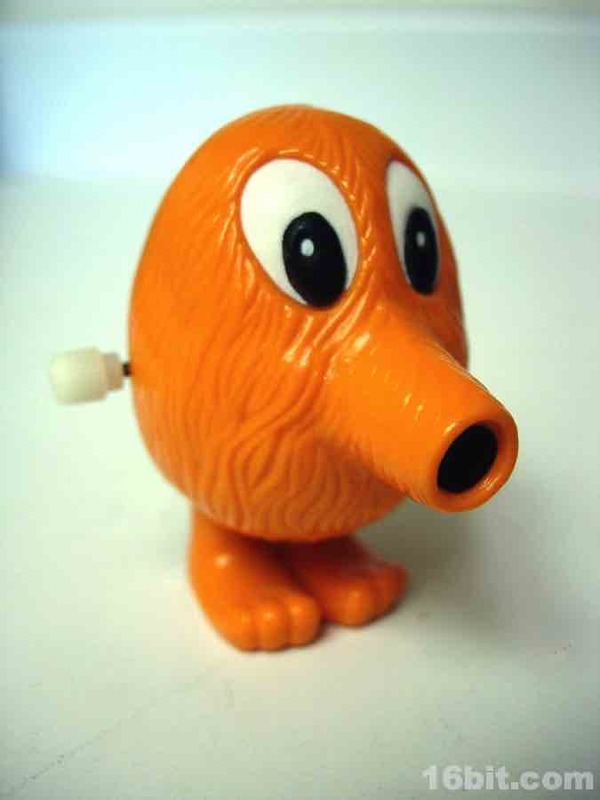 Despite being largely forgotten compared to some other video game mascots like Pac-Man or Mario, Q*Bert did manage to lead the way with a fairly strong merchandising push. There were a lot of Pac-Man items as well, but it seemed at least when I was out and about that the little orange guy got a surprising amount of attention. Before you say "Well, Q*Bert is hardly obscure!" let me ask you this-- have you played Q*Bert? And if you were born after 1983, have you ever seen a Q*Bert arcade machine? Standing a mere 2 1/4-inches tall, this turned out to be a neat product that's very much of its time. Wind-up motors were still totally acceptable in toys in the 1980s, with lines like Starriors, Zoids, and Robo-Strux out of Tomy all involving the little twisty white knobs. 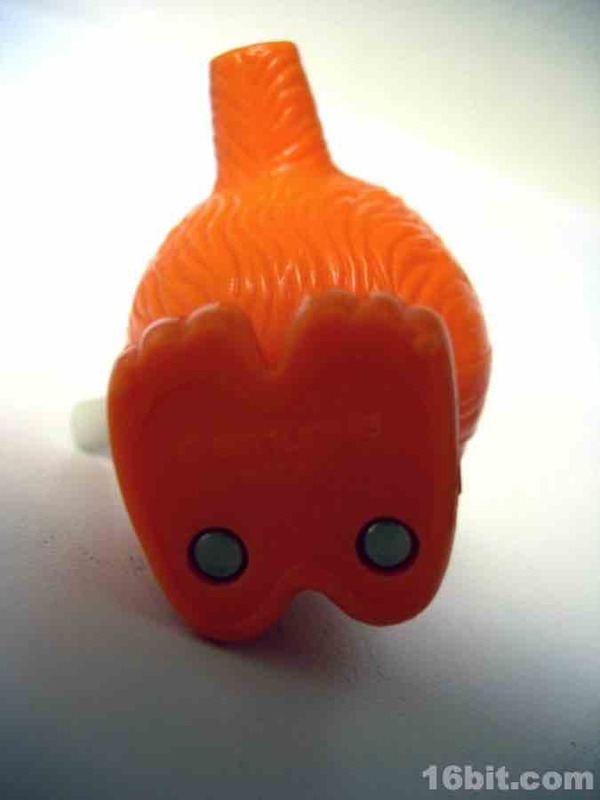 Today it's largely all about batteries, but it wasn't at all unusual to see some form of wind-up toy back then. 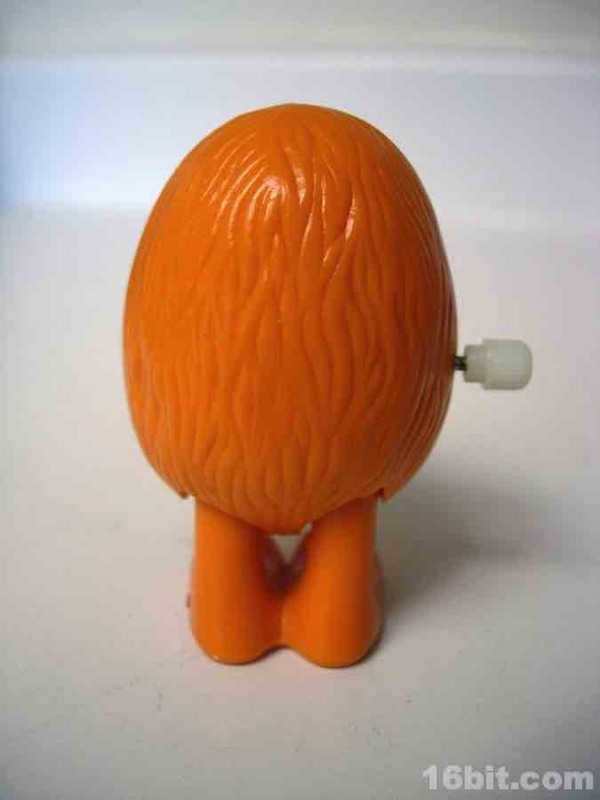 Kenner didn't make it as important to their offerings as Tomy, but we did see a few figures like this one. 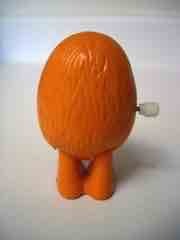 I've owned Q*Bert since the 1980s and as you can see, he's in great shape. He has been in my toy boxes growing up, and I just pulled him out to take pictures weeks before posting this review. His orange is quite vibrant, his black and white paint is intact, and nothing snapped off. This is a durable toy, made from fairly hard plastic and as far as I can tell, he looks almost as perfect as the day he was removed from his blister card packaging. Seeing the imagination put into this toy line, it's more than a little surprising that we didn't see even more game stuff back in the 1980s. While unlicensed goods existed, it's not like there were extensive lines based on The Legend of Zelda or Joust! or any of a number arguably popular titles. The mid- to late-1990s were a real boom time for game toys, with companies like Toy Biz picking up all sorts of licenses while BanDai made some really neat stuff in Japan, some of which made it to US shores. And of course today, we've got NECA, DC Direct, Jazwares, and others focusing on game toy development. But I digress. 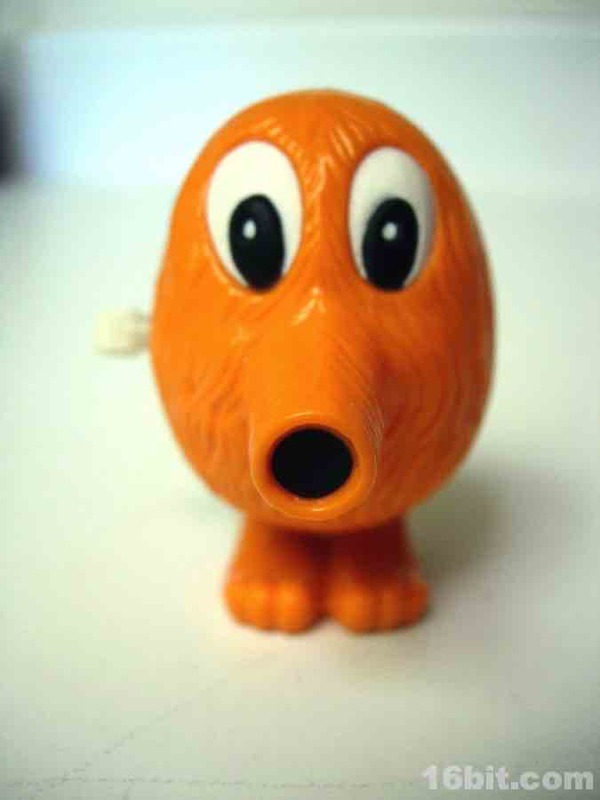 Q*Bert is a nice little figure that is a neat artifact of the 1980s. Were I to set up a toy shelf based on the decade, this guy would go on it. The plastic has a fuzzy pattern sculpted into it, and the wind-up motor still works great nearly 30 years later. If you can find it cheap, I suggest you get one. Few closed auction listings are available for viewing, so it looks like this could cost anywhere from $3 to $50, so I suggest patience and additional research before splurging for one.